Don't Mess With OPI // Roll In The Hague // Ladies & Magenta-men // Diva Of Geneva // Did You Ear About Van Gogh? // I Brake For Manicures. 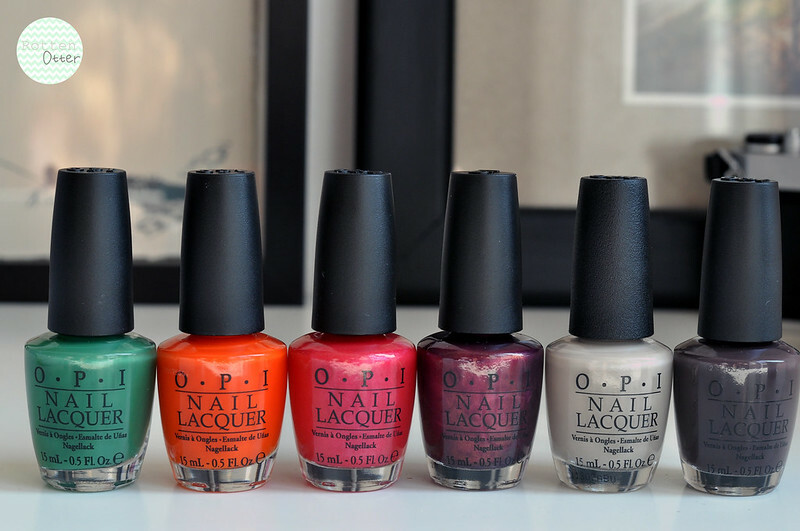 On Fragrance Direct, OPI's have now gone down to £3.99 which is an absolute bargain! They're even cheaper than Models Own now and only a little bit more than Barry M. These six are the latest nail polishes I've added to my collection. I ordered some of these yesterday! I got I Brake for Manicures, Don't Mess with OPI (wasn't sure about the colour of this one but seeing it in this post has reassured me it's lovely! ), Thanks a Windmillion and I Vant to be a Lone Star. SO excited for their arrival, I love OPI. Roll in The Hague and I Brake For Manicures are my favourite, so, so pretty! All Lush bath cocktails can be found on Jens blog, All Things Lush. They have all been created by either Jen or her readers, I am simply testing them out and sharing on my own blog. Follow me on Bloglovin' // Google+ // Instagram // Pinterest // Twitter// Tumblr.